For your convenience we have included a comprehensive guide here to some relevant card making departments on our website. You will find links to many departments here, as well as to card making project ideas and How To's. We stock more than 20000 product lines, and specialise in card making and scrapbooking products. 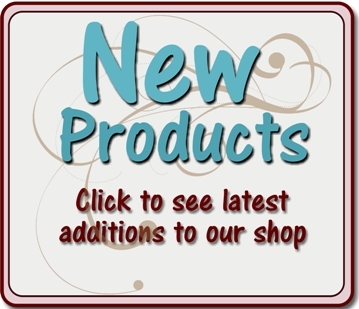 Click here for main shop page, as well as links to stocked brands. 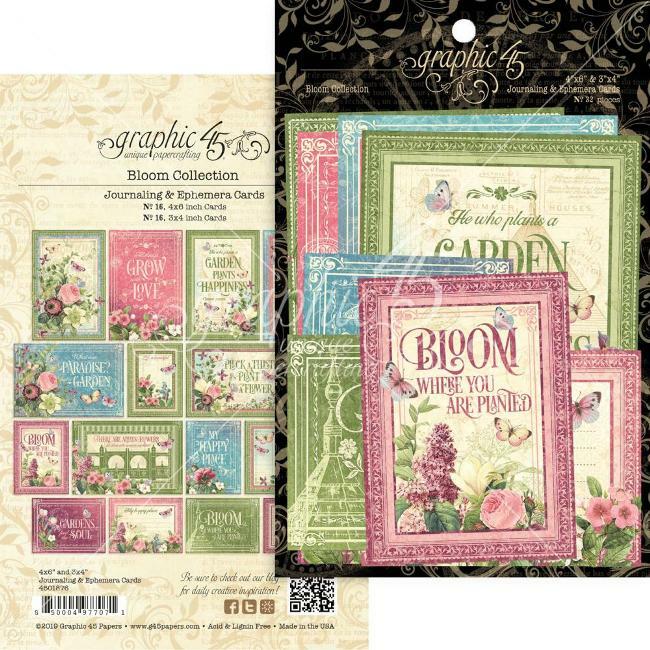 We probably have the largest most comprehensive array of embellishments for card making you will ever see. 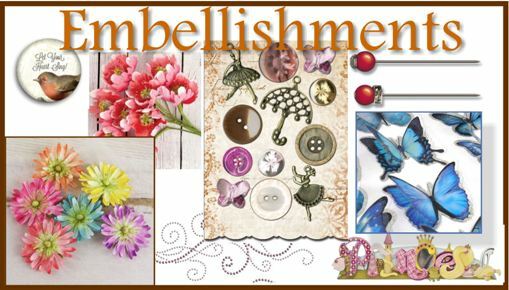 There is every single card embellishment you could wish for: Flowers, Brads, Buttons, Metal embellishments, Jewels, Pearls, Swirls, Flat Stickers, Sentiments, Feathers, amazing 3 Dimensional stickers, Wooden Shapes, Flower Soft, Baubles, Charms and lots more wonderful accents for your cards. WOWSA!! You will not believe your eyes when you feast your eyes on this lot! 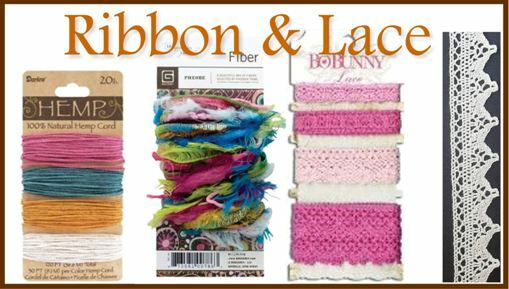 We have a HUGE selection of wonderful embellishments for all your crafting projects, whether they are card making, scrapbooking, or home decor. 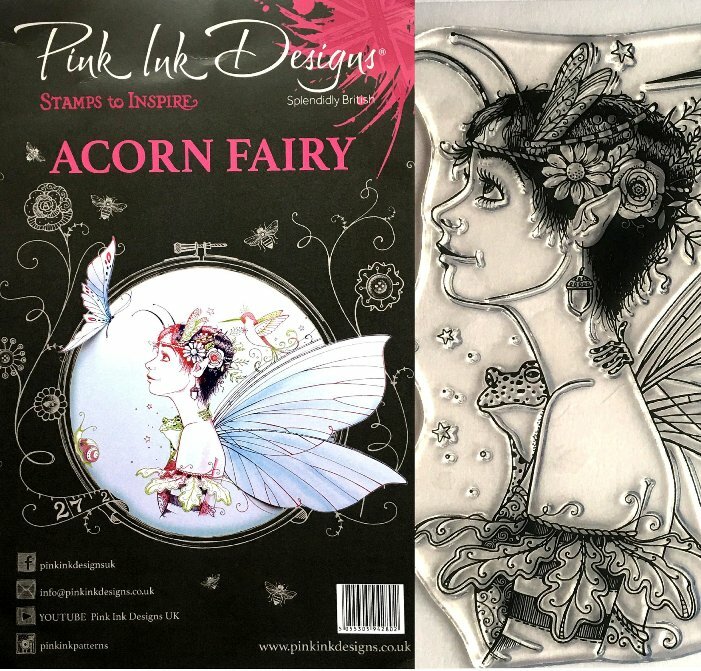 Here you will find an AMAZING variety of beautiful flowers, buttons, brads, trinkets, charms, wooden designs, die-cuts and ephemera, pins, butterflies, journalling notes, 3D wonders, glitter, pearls, stick pins and so much more. Do please pop in for a look, you wont be dissapointed. I don't know about you, but I find that adding metal to a card or scrapbook project just makes it that little bit special. 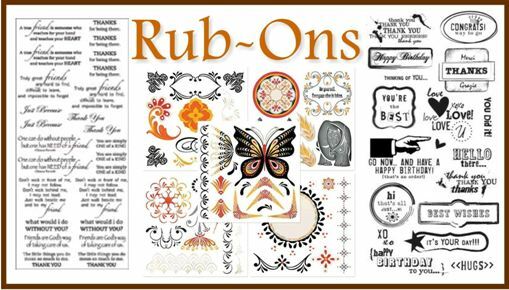 For that reason we have included a large array of metal embellishments for you perfect for card making and scrapbooking. 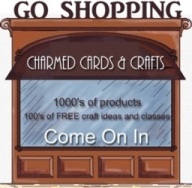 Here you will find loads of enchanting metal charms and accents, as well as metal frames, brads, eyelets, mini scrapbook plates, and shaped clips to decorate your work..
....and we MEAN Stickers "Galore"!!! Lots and lots of lovely stickers to adorn your work from great companies such as K & Co, Basic Grey, Karen Foster, Bo Bunny and many more.. 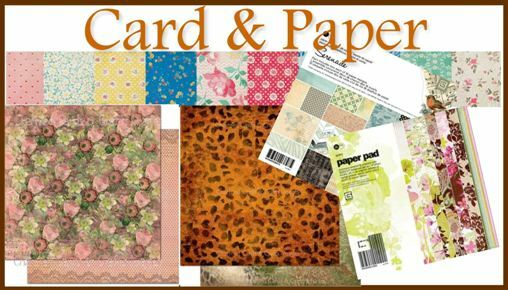 Here you will find a very large selection of paper products for your card making projects. 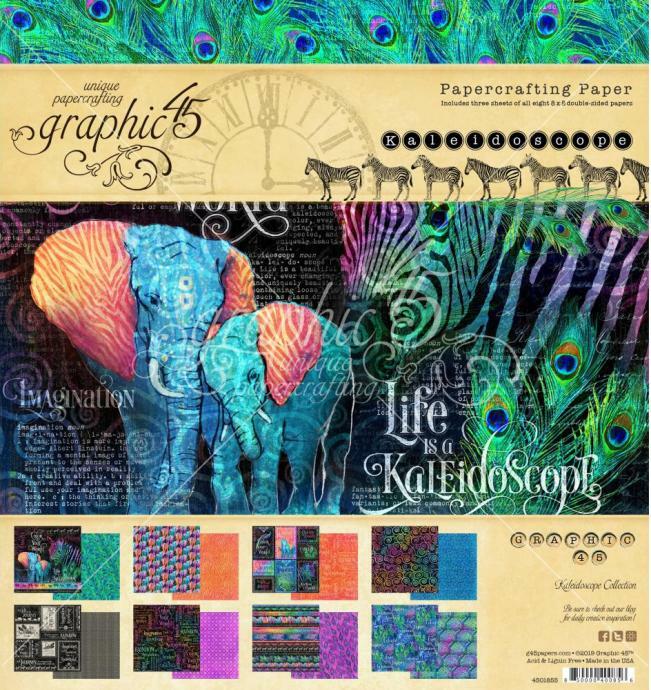 We have paper pads, plus loose sheets with amazing designs. 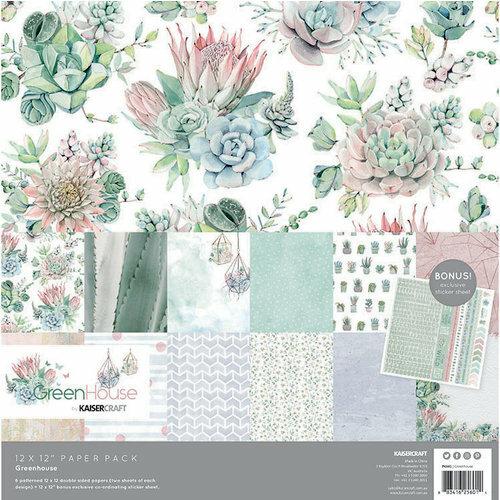 We also have a selection of decoupage papers and plain cardstock. 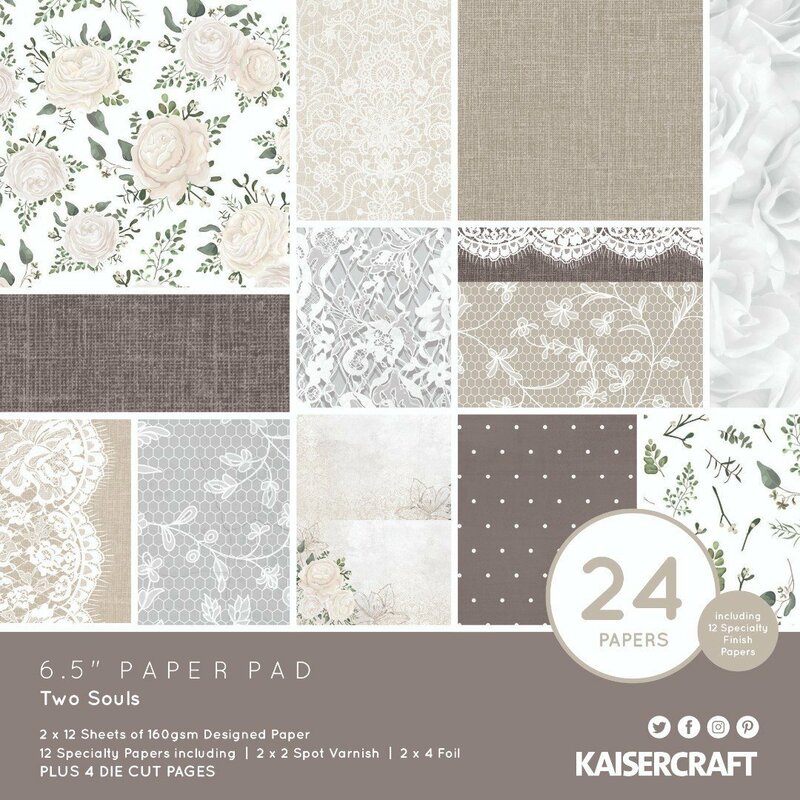 Perfect for both card making and scrapbooking We have sourced some great paper and cardstock for you, from popular brands such as Kaisercraft, Basic Grey, K&Co, Karen Foster, Bo Bunny, Graphic 45, Fancy Pants, My Minds Eye, and many more. 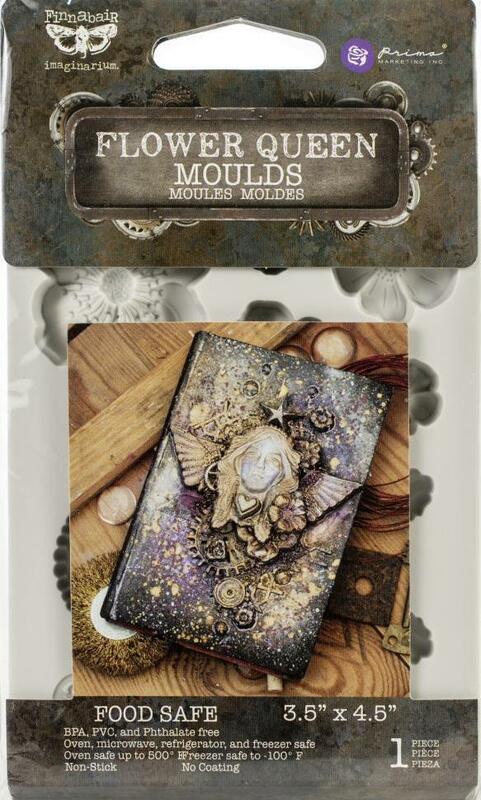 We also have a great selection of vellum, and themed cardstock, découpage paper, some great printed backing papers. 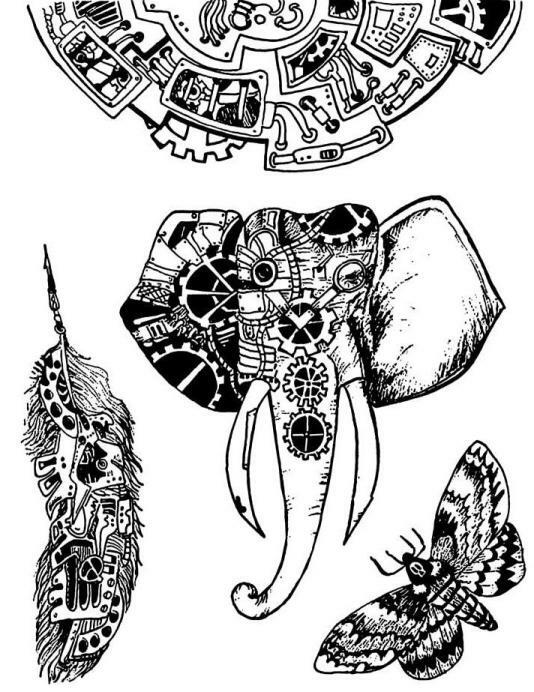 Our stamping department houses a very large variety of stamps that cater for all your needs, whether eclectic or cute. 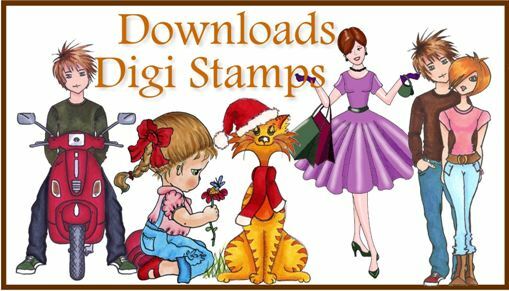 We stock single stamps, stamping sets, and stamping accessories from companies such as Graphic 45, Woodware, Hero Arts/Basic Grey, Bo Bunny, Prima Marketing, Stampavie, Paper Artsy, Personal Impressions, Tim Holtz, Rangers, Imaginisce, Sarah Kaye, Magnolia, Pergamano and many more; as well as our own in-house line of Delectable stamps . You can find ink for stamps in our "Ink Pads department. 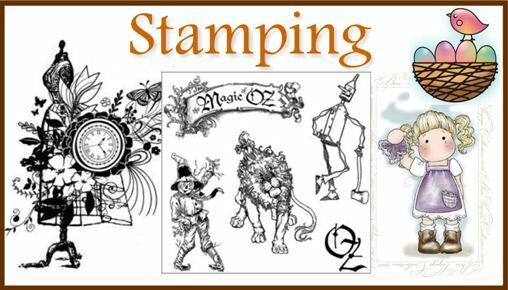 Stamping has become very popular for card makers, and we have one of the best selections around. Whether you are wanting grungy or cute, you are bound to find just what you were looking for here. 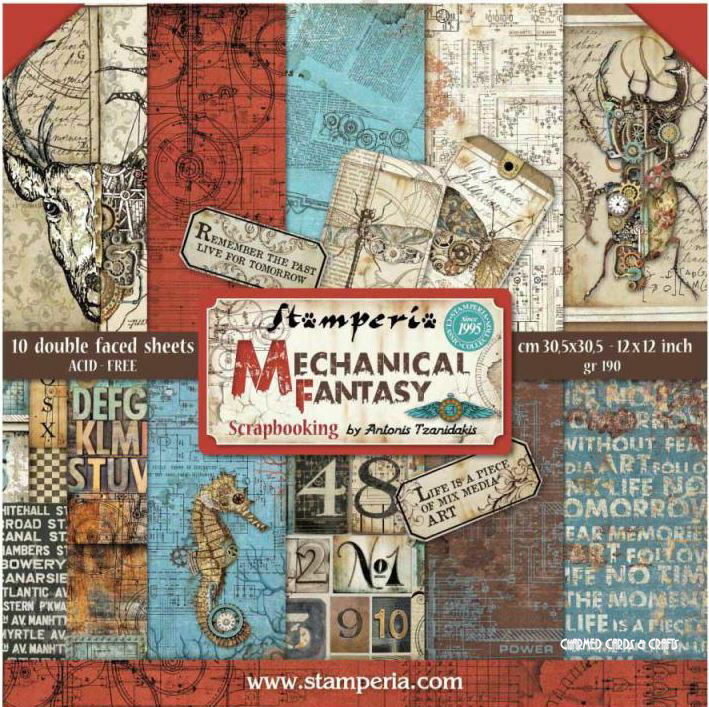 We stock stamps from manufacturers and Designers such as Stampavie, Gorjuss, Elisabeth Bell, Magnolia, Hampton Art, PaperArtsy, Hery Art, Prima, Bo Bunny, Graphic 45, Marianne Design, Andy Skinner, Tim Holtz, Sarah Kaye, Mo Manning, Imaginisce, Pergamano, Darkroom Door, Maya Road, Autumn Leaves, Hot Off The Press, PLUS our own Delectable Stamp range. Die-Cutting has become a very key element to crafting, and a crafters tool box is not complete without a basic selection of dies. 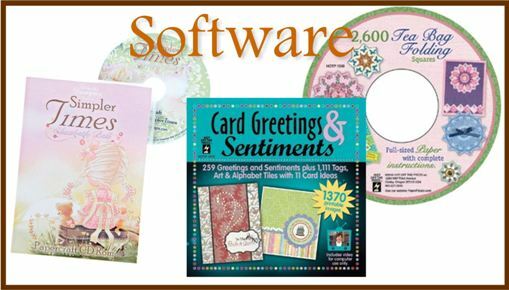 We stock a large variety of dies from popular companies, such as Spellbinders, Marianne Design, Crafts-Too, Quickutz, Cuttlebug, and more. Die-cut designs are superb on your cards and layouts. 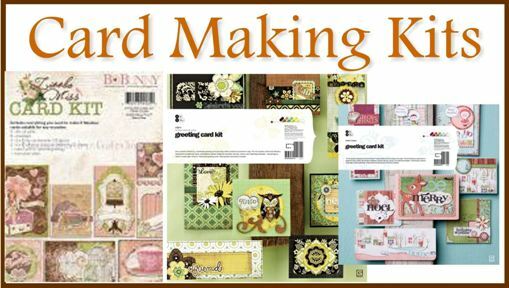 A crafters toolbox would not be complete these days without a selection of beautiful dies to create amazing card fronts. 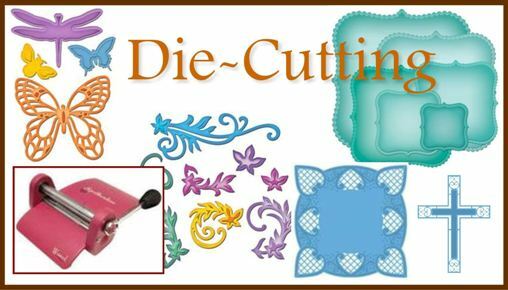 We stock a large selection of dies from: Marianne Design, Leane Creatif, Sizzix, Cuttlebug, Crafts Too, and Spellbinders. Receive free or reduced shipping rates on dies. 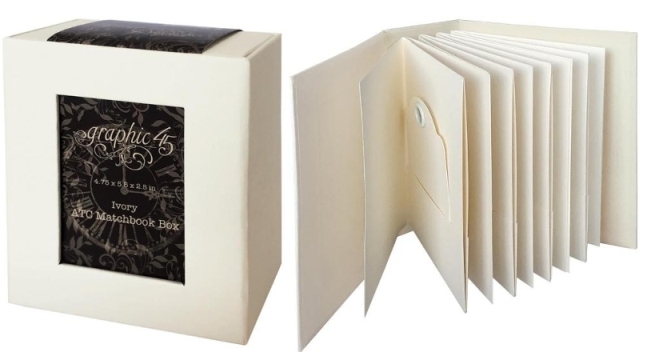 Here you will find a super selection of CD's and DVD's to help you create perfect cards. Punches in various sizes, along with punch sets and tools. 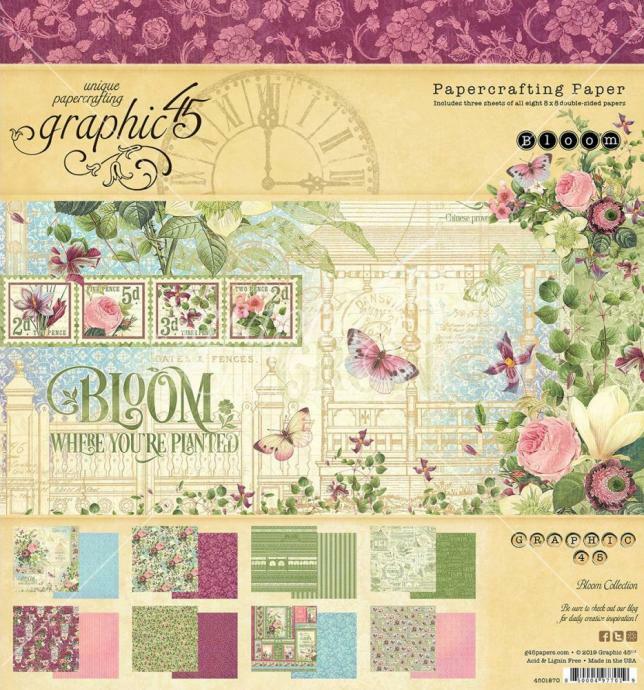 Ideal for Card Making, Scrapbooking, Paper Crafts and Arts & Crafts. 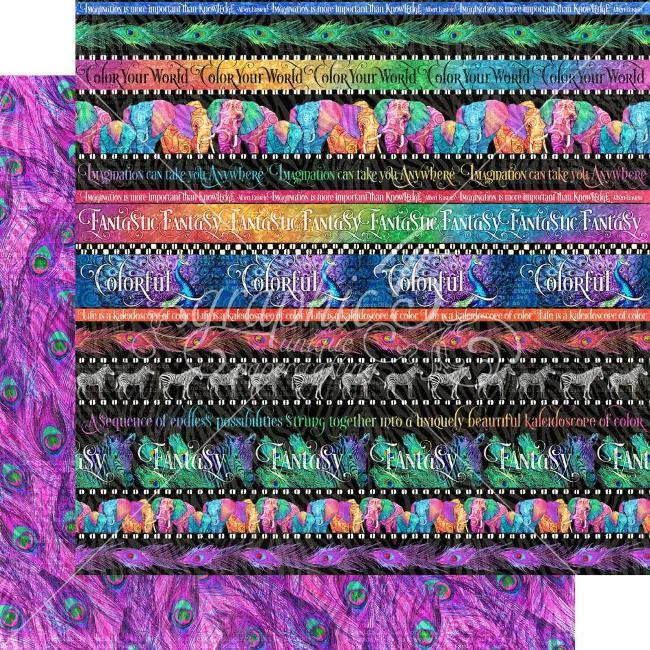 Great for making confetti, die-cuts and borders for scrapbook pages and card making. Section includes a selection of punches from Martha Stewart. Emboss your work and make it stand out. 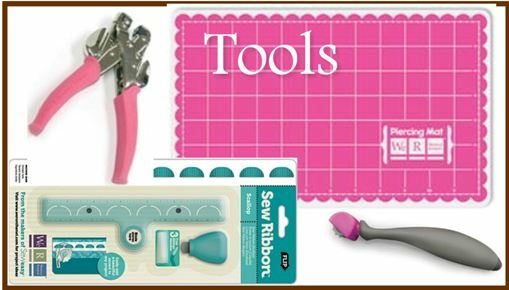 Great tools and accessories ranging from embossing folders from Spellbinders, Cuttlebug and Crafts Too, to a range of great value embossing stencils, embossing powders, foil, tracing patterns, heat tools, and other essentials. 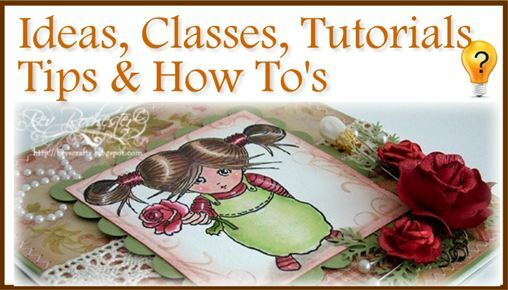 Click here to visit our "How To - Embossing" page for tips and techniques. Couldn't do much without them - Adhesives, Perfect Pearls, Stickles glitter glue, craft glue, Glue gun, tape, foam pads etc. 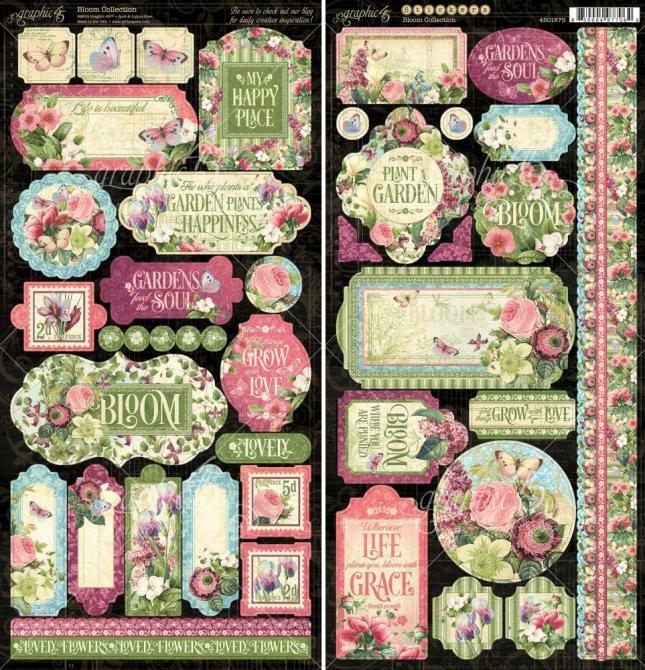 A great selection of adhesive card making and scrapbooking essentials. 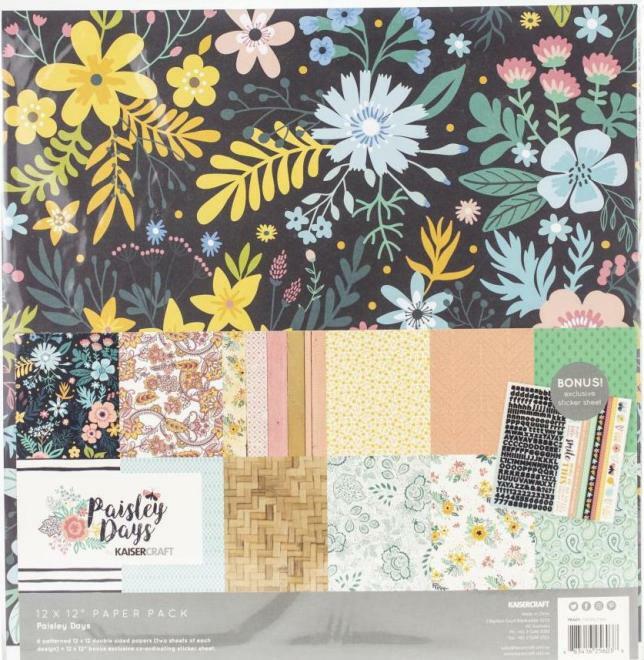 As well as conventional card making tools you will also find a superb selection of crafting products from We R Memory Keepers here, including the amazing Sew Easy and Sew Ribbon ranges. We also have Crop-a-diles from We R Memorykeepers here, if you love eyelets but find them difficult to insert this is for you. As the title suggests, this department contains everything you need to bring your project to life with colour. Prismacolor pencils are very popular with card makers, and we have a selection of both open stock and sets. Marker pens are likewise available in both single form and in sets. We also have various acrylic paints, glimmer mists from Tattered Angels and Perfect Pearls mists and powders from Rangers, metallic finishes such as gilding flakes and waxes, distress stains, elegant finishes and writers from DecoArt. There's more so pop in and take a look.